Pool Party DJ time has started! One of our favorite times of year is summer when our apartment complexes start to throw pool parties. As the pool party DJ, it is our responsibility to play family friendly music, and let the tenants know that they are appreciated. 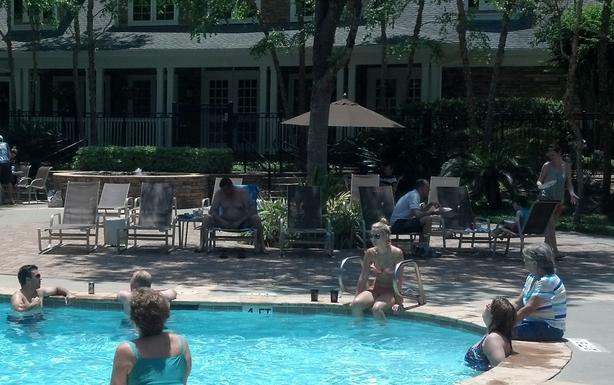 Below is the pool party for Creekstone Apartments in the Memorial area, Houston.